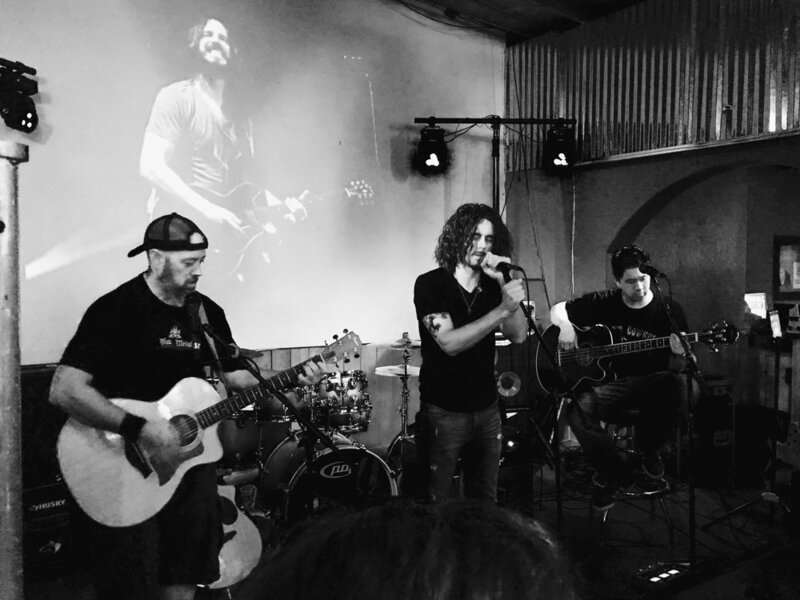 My friends in Telephantasm, an Austin-based Soundgarden tribute band, gave a moving performance in honor of Chris Cornell last night. The world lost an amazing musician and vocalist when Chris committed suicide just a few days ago. Anxiety and depression are such terrible monsters to face. As someone who knows what the battle feels like, it's a hard blow to hear about someone losing the fight. 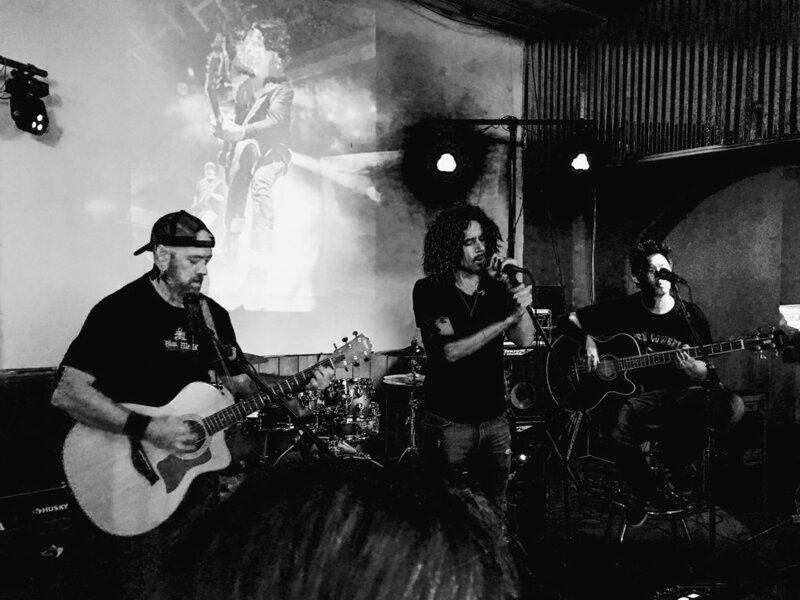 The guys pulled together an acoustic version of the Audioslave song "Like a Stone", a song they'd never done before last night. 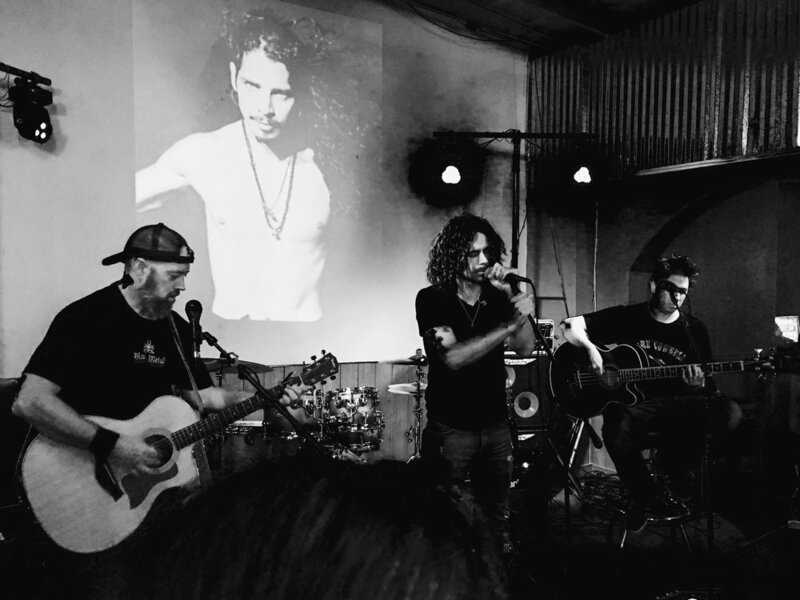 A video of images from Cornell's life played behind on the screen behind the band. It was touching. I might have had a little something in my eyes while I watched the heartfelt tribute. Chris is gone. 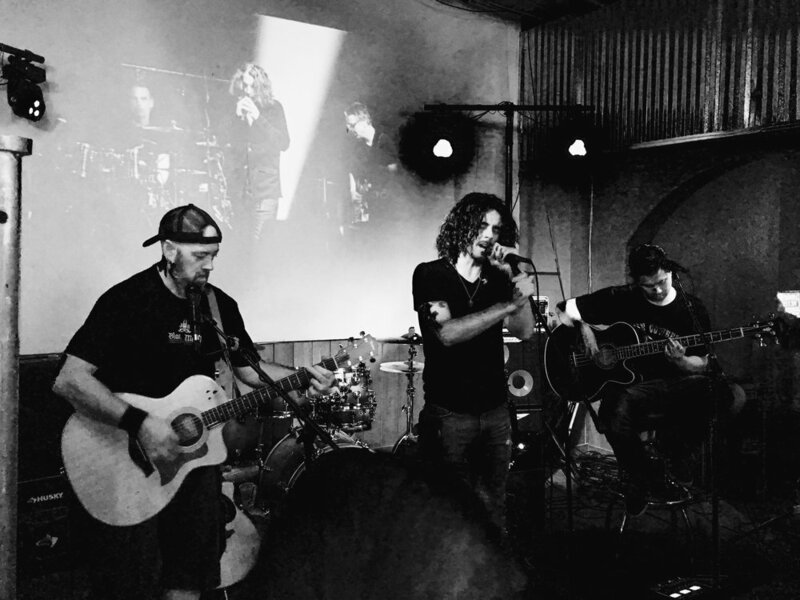 The music lives on. I didn't have my "real camera" with me but I had to capture a few images with my iPhone. Thankfully there was a video recorded and you can check that out here.